a BIG OLD THANK YOU | A.B.E. 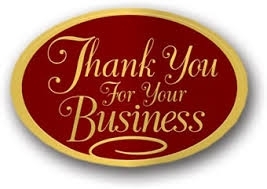 Remodeling, INC.
Hello, as 2015 comes to an end…we just want to say thank you to all of you, our wonderful clients. We've had the opportunity to meet and work with many good folks this year. We look forward to work with all of you in the future so give us a call when you have a project. Thank you again for a terrific year. From all of us.